Here's where to watch every episode of The Muppet Show season 5. Mouseover or tap an episode to see where to stream it. Click or tap the play icon to stream it on the best available service. Loretta Swit Mar 10, 1980 How well can Loretta fit into Miss Piggy's roles? It all comes to a dramatic climax with the ""Pigs in Space"" installment. Joan Baez Mar 17, 1980 Rizzo and the other rats bother Kermit for a spot on the show, so Kermit asks Beauregard to "take care of them." Of course, Bo takes that literally, and treats them as guests. The rats make Beau their president, and manipulate him into giving them food. The rats eventually become so bold that they decide to take over the show. Kermit says Beau has to kick them out, or he goes with them. Beau chooses to stick with his new rat friends, until Miss Piggy enlightens him. Shirley Bassey Mar 24, 1980 Kermit borrows fifty million dollars worth of gold for Shirley's closing number, "Goldfinger". 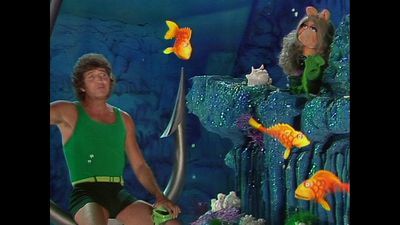 Security guard Bruno is suspicious that Kermit wants to steal the gold, but keeping an eye on the frog makes him overlook a band of pig thieves, who steal all the gold as Shirley sings. James Coburn Apr 1, 1980 Animal hits it off with tough guy James Coburn -- but James decides that Animal isn't centered enough, and introduces him to meditation and Zen. Animal doesn't take well to Zen. 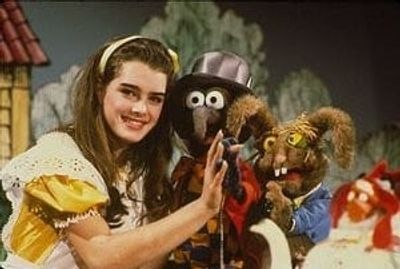 Brooke Shields Apr 7, 1980 Thinking she was booked to do "The Muffin Show," Brooke finds herself growing and shrinking as the Muppets stage Alice's Adventures in Wonderland. Glenda Jackson Apr 21, 1980 Glenda reveals herself to be Black Jackson the pirate captain, and she takes over the Muppet Theater with the help of Short John Silver (Sweetums) and Eric, a heartless pirate parrot (in disguise as a penguin). They tie Kermit up, turn the theater into a ship, and cast off to look for buried treasure. The show ends with a musical battle at sea, with Gonzo and a crew of chickens fighting to save Kermit and the theater. Senor Wences Apr 28, 1980 In honor of Señor Wences and his puppets, Kermit decides to do something new -- a puppet show! 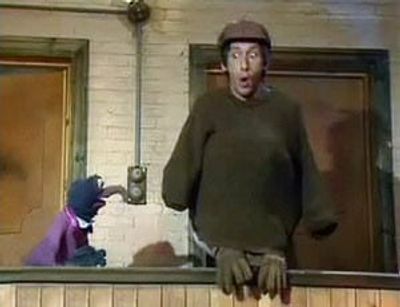 Fozzie wants to do a marionette act with a Dancing Clown puppet, but the marionette eventually pulls Fozzie down on the stage with him and takes control of the strings himself. Roger Moore Apr 29, 1980 Kermit calls the Secret Service to hire real spies for Roger's closing number. (They're listed in the Yellow Pages.) However, Roger wants to do a cute, cuddly version of "Talk to the Animals". The spies, anxious for a chance to rub out James Bond, pose as fluffy animals to infiltrate the number. Jean-Pierre Rampal May 12, 1980 Miss Piggy is cornered by flautist Jean-Pierre, who wants to speak French with her. She claims to have laryngitis, whispering, "My vocal coach told me not to speak French. I'm not even supposed to eat French fries!" Paul Simon May 19, 1980 Paul inspires Gonzo to be a songwriter. Unfortunately, Gonzo writes songs like "For You": "For youuu... I'd wash my hair with stinky glue, I'd fry my legs and eat them too, I'd put a spider in my shoe -- for yoouuuu!" Paul is stunned. Later, Gonzo's chickens run off with Paul, so Gonzo develops a new obsession -- asparagus. But at the end of the episode both the chickens and the asparagus run away when Paul asks for chicken with a side of asparagus. Linda Ronstadt May 27, 1980 Afraid that Linda will steal her frog away, Piggy locks Kermit up in a chest owned by Gonzo when Scooter helps him move his mildew ""collection"" and hides it. Tony Randall Jun 3, 1980 Browsing through an old book of magic spells, Tony accidentally turns Miss Piggy into stone. He considers bringing her to a stonemason for help. Fozzie, Gonzo and Floyd crack stone jokes as Kermit and Tony try to find a spell to change her back. Of course, the show must go on, and the Piggy statue takes the stage for "Pigs in Space". Muppet Show 5.109 Jun 16, 1980 Beaker tests Muppet Labs' new copier machine, ultimately falling into it and making seven copies of himself. The multiple Beakers gang up on Bunsen, and the doctor is forced to wear a disguise and hide from his assistants. Carol Burnett Jun 23, 1980 There's no show today, almost; the theater is turned into a dance marathon hosted by Gonzo. Melissa Manchester Jul 1, 1980 Kermit is plagued by a night of backstage crises. A group of skiers get hurt during the opening number, and after Kermit says that the theater will cover their medical costs, Scooter forgets to cash the check. The Teeterini Family are angry that their teeter board won't fit on the stage. The Swedish Chef prepares spring chicken, and the bouncing chicken drives Kermit crazy. And let's not even talk about the blindfolded, hang-gliding yodelers. Gladys Knight Jul 3, 1980 The theater is under repair, but the workers have to destroy in order to build. They take the roof right off, leaving this show victim to the elements. Hal Linden Jul 8, 1980 Statler and Waldorf get their chance to do a better show than Kermit--they play host, while Kermit and Fozzie heckle from the balcony. Unfortunately, Statler and Waldorf's acts don't turn out exactly as they plan.The Berlin National Opera Company cancels and are replaced by the Salzburg Sauerkraut Singers. Hal's Fourth of July number is invaded by Gonzo on a sleigh singing Christmas songs. Finally, Statler and Waldorf admit that the show is harder to put together than it looks and happily go back to complaining from the balcony. Marty Feldman Jul 14, 1980 The Muppets present their version of 1001 Arabian Nights, with guest star Marty Feldman playing the role of Scheherazade, telling tales to an evil Caliph (played by the Swedish Chef). Muppet Show 5.115 Jul 28, 1980 In honor of vaudeville-influenced guest star Wally Boag, the Muppets salute vaudeville, with a balloon animal act, a bagpipe player and a hypnotist. Wally performs acts he made famous at the Golden Horseshoe Revue at Disneyland, including the Pecos Bill teeth-spitting sketch. Debbie Harry Aug 4, 1980 Robin's Frog Scout troop visits the show, getting in everyone's way backstage. They ask Debbie for help earning their punk merit badges, and she teaches them how to do the pogo. When Gonzo cancels his act, the Frog Scouts get their chance to do a performance of close-order drills. Chris Langham Aug 5, 1980 A messenger brings a message from the scheduled guest star -- Benny Brillstein, the Yiddish yodeler. Benny refuses to be on the show, so Kermit asks Chris, the messenger boy, to be the guest. Chris knows a joke, so Kermit introduces him as a comedian. Johnny Cash Aug 11, 1980 In honor of Johnny Cash's appearance, the show is simulcast over country radio station WHOG, and the radio broadcast threatens to overwhelm the actual show. The head of WHOG, Big Tiny Tall Saddle, insists on making all the decisions. He refuses to let Rowlf go on, and instead schedules Grampaw McGuire and his whistling bricks. Kermit tries to run his own show, but Big Tiny is one of the toughest men alive -- when he's annoyed, he has a habit of wrapping microphone stands around people's necks. Fozzie is replaced by Wally Whoopie, a stand-up comedian who makes fun of the bear -- which inspires Kermit to stand up for his friend, and his show. Buddy Rich Aug 12, 1980 Thanks to Gonzo's refrigerated mildew collection, the power goes out in the theater, and Beauregard almost electrocutes himself trying to fix it. Half of the acts have to perform in the dark, until Dr. Bunsen Honeydew hooks up a generator that runs on Beaker-power. Beaker runs on a huge wheel to generate power, and when he gets tired, Bunsen helps to motivate him by releasing a hungry tiger onto the wheel. Gene Kelly Aug 19, 1980 Gene is under the impression that he's a "guest" -- that is, he's going to sit and watch, but not perform onstage. Frantic, Kermit tricks him into performing by asking him to give him a dance lesson on-stage. Kermit plans a surprise closing number, "Singin' in the Rain," Gene refuses, saying that he doesn't think he'll ever sing the song as good as he did in the movie, but he does eventually sing it backstage. Meanwhile, Scooter uses his Tarot cards to predict that the world is coming to an end. Beauregard believes him, and tries to convince the rest of the cast the apocalypse is near.